With warmer weather come thoughts of getting the boat out, getting the fishing and camping gear together and getting ready to enjoy summer. But before you go, there are a few things you should remember in order to enjoy the area with other boaters, campers, and folks out fishing while keeping yourself safe. 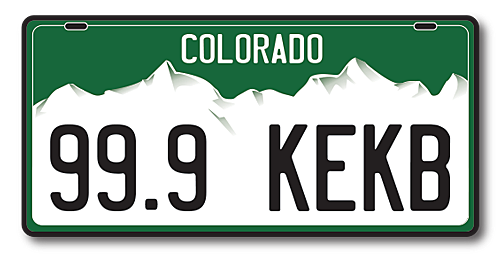 Colorado Parks and Recreation has listed new rules for registering your boat, snowmobile or off-road vehicle, so be sure to check those before you go out. Highline Lake's boat ramp is open Monday through Thursday from 8 A.M. to 6 P.M. and 7-7 Friday through Sunday. The boat has to have a current 2017 registration and forms are available at the visitor's center. Sunrise over Highline Lake is gorgeous, but the mornings are still a little cool. If you're getting an early start, bring a jacket or sweater. Make sure you have enough gas, too. Rowing back to shore in a power boat looks kinda funny. Being prepared also means sunscreen. Make sure you have plenty of it! And stay hydrated. Nothing saps the moisture from you as much as heat by the water! Adult and juvenile bald eagles fly regularly over the lake. If you've never had an opportunity to see them with your own eyes, what better place to do it than here? And if you listen, you'll also hear the horned owls. Just magical. You don't want to miss out on your almost perfectly planned campout because you forgot to reserve a campsite! As you can imagine, the campsites fill quickly on the weekend, so planning ahead and reserving your site is your guarantee to have fun. The Bookcliff campground has added sites and all the numbers have changed, so it's even more important to get those reservations in! Yes, fishing here is also a lot of fun, and a great way to introduce the young family members to the joy of getting the line wet. Once they catch the fever, though, be prepared to go fishing a LOT! Make sure your fishing license is current, that you have enough bait, that your fishing lures are tangle free and ready to go! There, all set. Now you can rule the water, safe secure and happy knowing you have everything together to make your time on the water the best time ever!